A native Kentuckian, born in the shadow of the Appalachian Mountains, raised in a family environment where money was scarce but love was abundant, a high school graduate, veteran of the US Air Force during the cold war, working husband, and finally, father of 2 boys rounds out my life. On approaching retirement in 2009, I began to think of what I would do with all of my free time. As a child, we had a friend and neighbor that worked as a fishing guide during the summer months, and built wooden boats during the winter. I would sit for hours on end, watching him create, what we called flat bottom river boats, using nothing more than simple hand tools, his imagination, and attention to every detail of what he was doing. As a young married man, I began putting my interest in working with wood to use, building much of the furniture for our first house. As our family grew, new pieces, and new skills, were added….a cradle, small rocking chair, rocking horse, and more bedroom furniture. 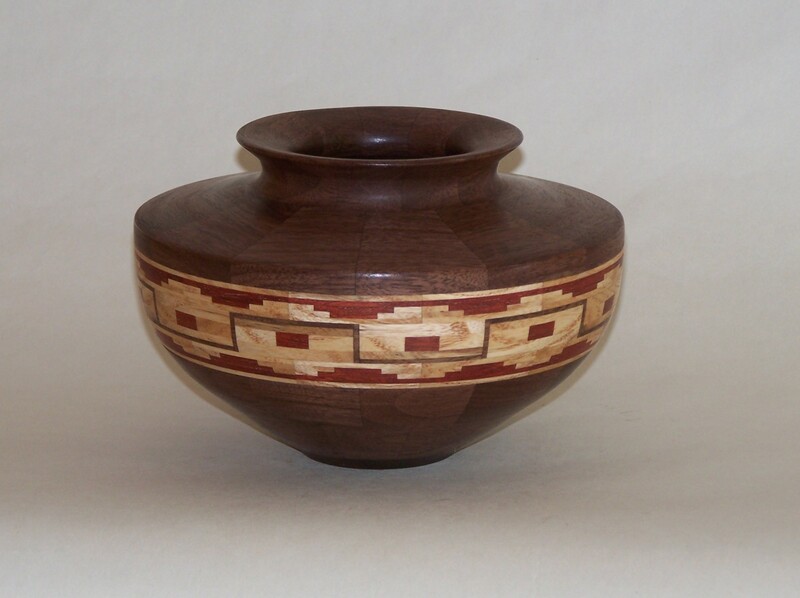 With the introduction of the internet, I became fascinated with the variety of shapes, colors, and general artistry of woodturning. I had tried, many years earlier, to turn a few pieces, but just didn’t get the “hang” of it. The lathe I had purchased went to the attic, stored for a better day and time. As I pondered what I would do, I remembered that old lathe, collecting dust, and decided to give it another try. This time, not only did I succeed in learning the basic turning techniques, but became enamored with the possibilities to be created. I would study internet websites in the evening, then next day I would spent at the lathe, trying to duplicate what I saw the night before. 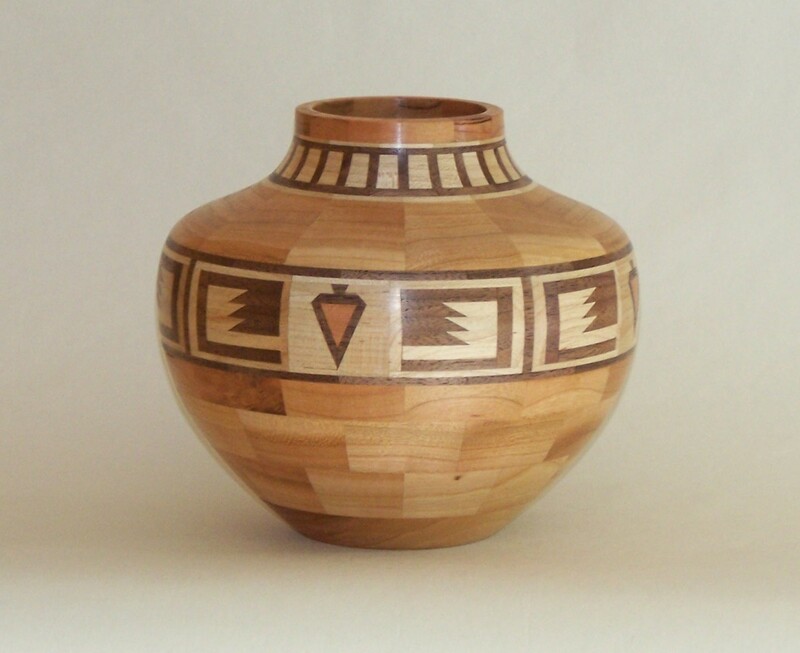 Then one day, I watched a video on segmented woodturning, the art of taking several varieties and colors of wood to create specific patterns in a rough shape, that when put on a lathe and turned, became an especially pleasing design within a wood turned bowl, or a vase, or native American styled pot. And so the obsession began. 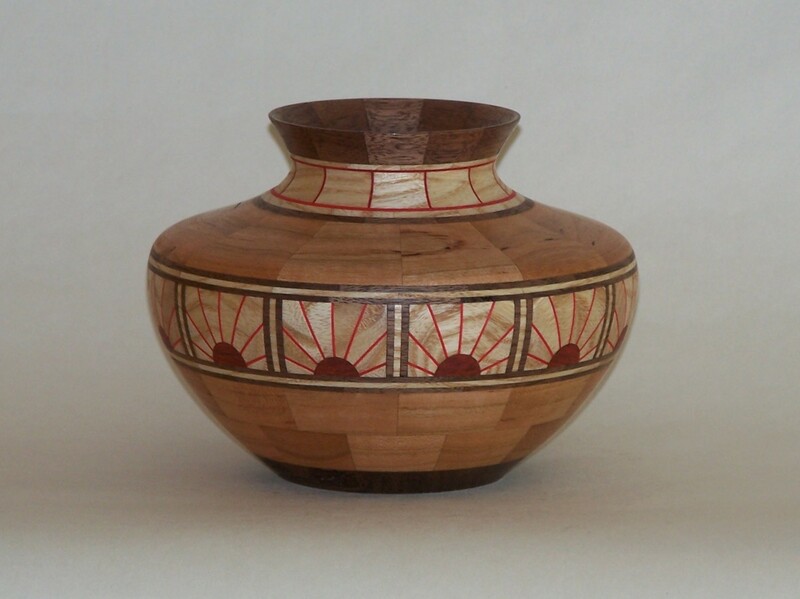 Now, years later, my passion is still with segmented woodturning. 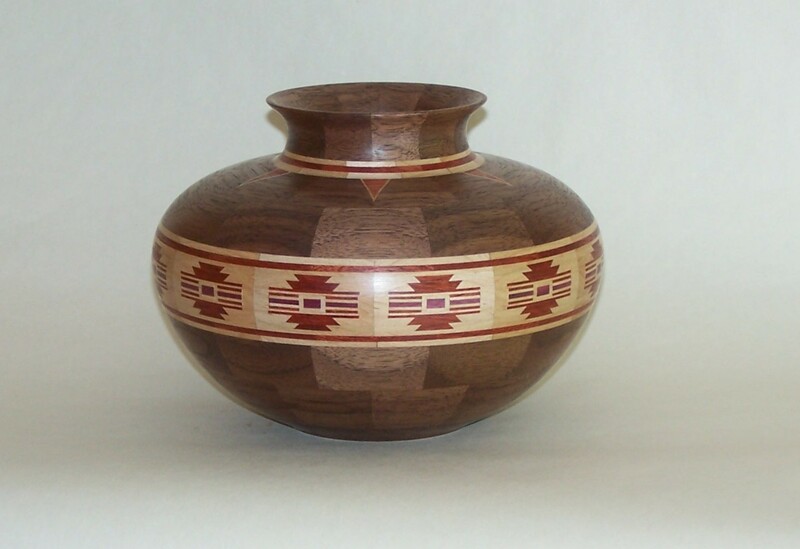 Many of my patterns are adapted from native American designs on pottery or garments. I have adapted quilt block patterns into some as well. Before going to the shop to start, I create a full sized, detailed drawing of the piece I intend to make. Every detail and dimension is included. Only then can pattern components be cut to size and constructed from hundreds of small individual pieces of wood. Each small piece must fit exactly with all pieces around it; voids or cracks are highly visible in the finished product. These components are assembled into the rough shape of the piece designed, and once all glue has dried, the piece can be placed on the lathe for final shaping, sanding, and finishing. Today, I am a member of Kentucky Proud and Appalachian Proud, both sponsored by the Kentucky Department of Agriculture. Also, I am a co-founder, past president, and current member of The Mountain Heritage Artisans Guild, a 501 3C non-profit whose purpose is to further arts and crafts in southeastern Kentucky, a member of The Sheltowee Artisans, and a member of the Segmented Woodturning Group. But most of all, I am retired, a grandfather, and loving what I do.